On the eve of Truck Day, I don’t have to think too hard to answer this question… a description of what my life has been like the last couple of months will suffice. Without baseball, the daily newspaper has no treat inside. No box scores? No interest. Without baseball, the flat screen on the wall of the family room is a shiny gray ornament. The remote is stashed deep in the coffee table drawer. Without baseball, I have to make up things to do at night after I put the kids to bed. Read a book. Clean the furnace room. Eat a big bowl of cereal. Write a blog article about life without baseball. Watch the Baylor-Oklahoma basketball game on ESPN. Strum on my guitar. Go to bed early. Without baseball, there’s no temptation to manage my online fantasy baseball team when I need a mental break. Instead, I just trudge up and down the hill outside my office and think about calls I have to make. Without baseball, I lose touch with my dad, my brothers, and my sister. The Red Sox are our family’s lifeblood. Without baseball, talk radio is spirited noise. Without baseball, lunch conversations with colleagues are hard to sustain for more than five minutes. There’s no game to talk about. No slumps to analyze. No standings to lament. No managerial moves to criticize. No rookies to compare to Dewey, Fisk, and Nomar. Without baseball, my multiple Rawlings gloves lie in a bin in the cold garage. I sometimes put one of them on for a moment when I’m putting trash in the garbage cans. Without baseball, the kids don’t beg me to play catch or wiffle ball with them when I get home from work. They don’t beg me to do anything. There are no little league teams to coach. No fungoes to hit. Without baseball, there are no extra-inning, West Coast games to keep me up until the middle of the night. I am well rested. Yet restless. 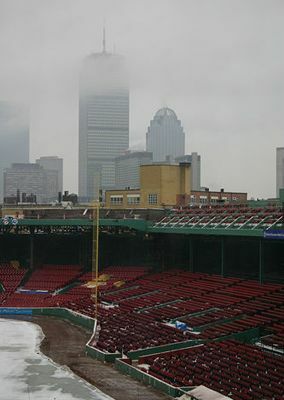 Without baseball, the magnet that draws me to Fenway Park shuts down. No one calls with an extra ticket. I give away my Charlie Cards for the Green Line. It’s February 11. Hot stove talk is dead. My backyard is a frozen tundra. There hasn’t been a major league baseball game in over three months. But Truck Day is finally here. 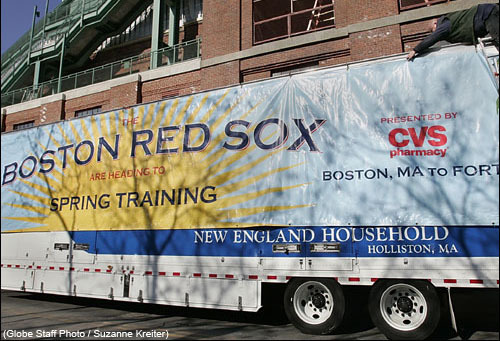 Spring training won’t start for another week, but just knowing that the Red Sox’s baseball equipment is en route to Fort Myers will improve the quality of fans’ lives in a measurable way. Allelulia! Life without baseball is almost over! In about 50 days, they’ll be Shipping Up to Boston! “I have a feeling,” I said, sitting in the bleachers with other parents of the Jazz, our 9 and 10 year-olds’ winless (0-5) basketball team, this past Sunday. “This is going to be the day they get their first win. This is our day.” But no one believed me. Not even I believed me. The other team, the Nets, looked bigger. And better. Just like every other opponent we’d faced. And within 30 seconds of the opening tip-off, the Jazz trailed the Nets, 4-0. Then it was 6-0, 8-0, 10-0. “Come on guys, let’s score a basket!” cheered the Jazz’s coach from the bench. But the Nets stole the ball and hit an easy layup. 12-0. Then 14-0. “The Nets are shooting at 90%,” a Jazz parent observed. 16-0. 18-0. And with one second remaining in the first quarter, a Nets player took a shot from just inside the three-point line. Embarrassed by the gory slaughter that was taking place on the court, even the Nets’ coach hoped that the shot would miss its target. The buzzer sounded, and a moment later, the ball swished through the net. 20-0. That’s twenty to NOTHING after one quarter of play. “At this rate, we’re going to lose 80 to nothing,” observed the mom sitting in front of me, with a smirk. Then my cell phone rang. It was my wife, calling to discuss the schedule for the rest of the day and transportation logistics for our five kids. “How’s the team doing?” she asked after we’d discussed the plans. “Well, they’re losing 20 to nothing after one quarter,” I answered. “Not again,” she replied. “Do you think they’ll win a single game?” Then, the Jazz hit a layup. Every parent in the gym cheered with relief. “Now it’s 20-2,” I told her. “I have to go, it’s getting really exciting.” We chuckled. The most memorable comeback I ever saw in person was the Red Sox’ remarkable win over the Tampa Bay Devil Rays in Game 5 of the 2008 ALCS at Fenway Park. Down 7-0 going into the bottom of the 7th inning – and facing elimination from the series – the Sox clawed their way to victory. I know “Game Five” is my most memorable comeback because it’s the first one that popped into my head yesterday as I watched the final three quarters of a youth basketball game that took my breath away and left me shaking my head and grinning the rest of the day. The second and third quarters are a blur in my memory, so I’ll quote the text messages I sent to my wife. “31-30. R’s team WINNING. 1 min left in 3rd Q. Amazing. “Unreal,” I replied to her reply. At this point, the referee – who reminded all of us of Gene Rayburn, the host of ’70s TV show, The Match Game — held the basketball, walked over to the bleachers where parents were sitting, and said to all of us with a big grin on his face, “Raise your hand if you’re nervous.” A few hands went up. “All of you who didn’t raise your hands are lying!” he said, smiling. Knowing that I was (perhaps) witnessing one of the greatest comebacks in 4th and 5th grade sports history, I videotaped the final two minutes of the game on my iPhone. The Nets’ coach called three timeouts, the Jazz coach called one — and these are the only timeouts I’ve seen ANY coach take during the entire season so far. This was a run-of-the-mill, regular season youth basketball game between kids whose tank tops fell to their knees, but these two coaches (volunteer dads) suddenly realized that this game could be one that they and their players would remember for a very long time. And they wanted to win. Badly. With the Jazz up by two, 38-36, with 30 seconds to go, the referee walked back over to the bleachers and yelled up to the parents and kids on the second level who had recently arrived and were waiting to use the court next. “Hey you guys up there!” he called, “I wanted to let you know, the white team had a thirty-six to nothing lead. So half the parents on the white team went home, because they thought the game was over. And we had to get them on cell phones, we texted them, we brought them all back!” He was clearly savoring this unique sports experience as much as anyone. Game over. Jazz 40, Nets 36. 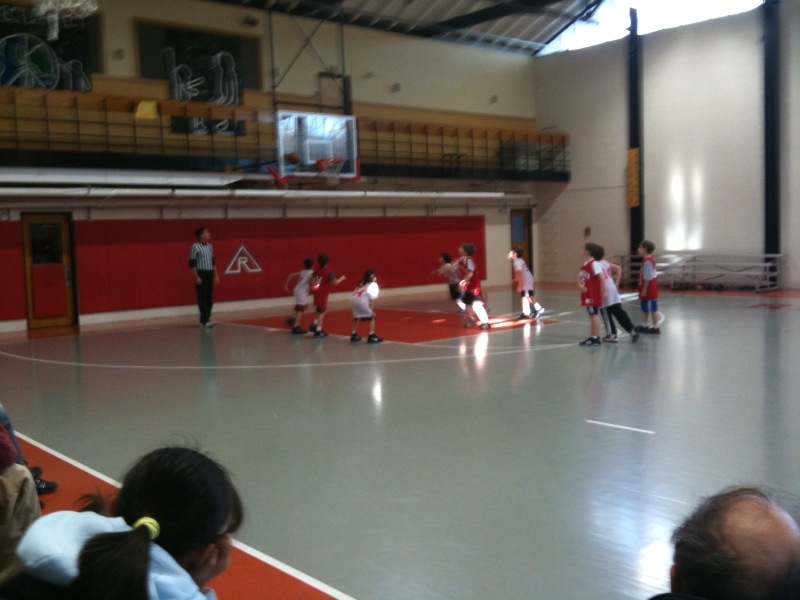 The kids went crazy on the court. My son jumped on the back of a smaller teammate who was caught by surprise, and they crumpled to the ground in a heap of joy. The Jazz coach suddenly produced a camera and started taking pictures of the boys’ celebration. The teams shook hands. Two Nets players wept as they found their parents in the bleachers and put on their coats to go home. Meanwhile, everyone wanted to take a picture of the Jazz players. They lined up and posed for about ten cameras. Click. Click. Click. Click. Jazz parents didn’t know how to react. 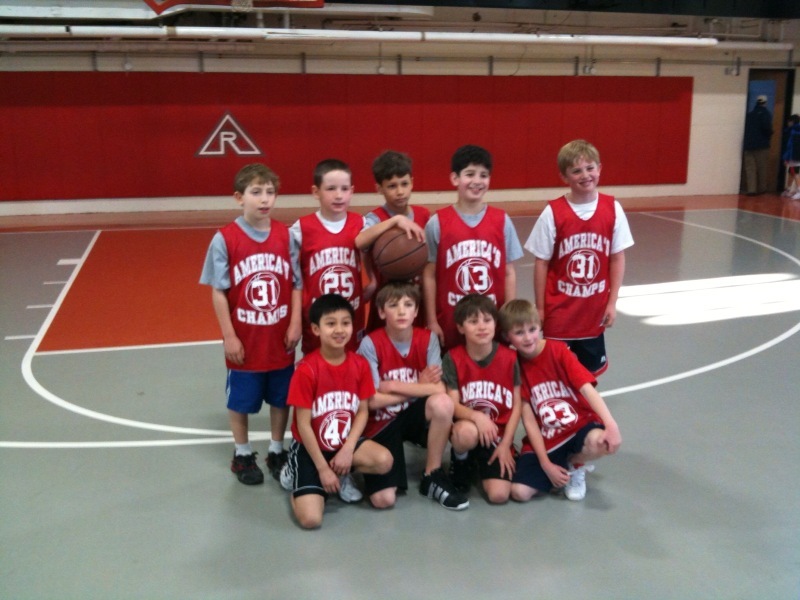 Is it OK to marvel at the outcome of a 9 and 10 year-olds’ basketball game? No one high-fived, though we wanted to. There were a few slaps on the back, and we all shook our heads and smiled. “That’s one of the greatest comebacks I have ever seen, at ANY level,” I said to the Jazz’s coach. “Yes, well there was the Red Sox comeback against the Yankees in 2004,” he replied. And just like that, this Jazz-Nets basketball game was “on the list” — along with Frank Reich’s Bills, Doug Flutie’s Eagles, Mookie Wilson’s Mets, and David Ortiz’s Red Sox. I’ve written it before, and I’ll write it again: Some of the greatest sports moments of the day never make it onto ESPN’s Sports Center. Yet on backyard rinks, on dusty fields, and in tiny gyms across America, every day another sports drama unfolds that teaches its participants – and its other witnesses – that “you gotta play the game,” and “anything can happen.” I could tell my son a million times to never give up, to keep the faith, to grind until the end…. and now, thanks to this one game, that attitude will forever be in his blood. It’s true, Jerry Remy and I have a unique connection to each other as the two guys who placed first and second in the voting for President of Red Sox Nation back in 2007. But even though we have worked together as the President and Vice President these past two years, I still see Jerry the way all fans see him, and I got the same lump in my throat that all loyal fans got when I heard the news of his illness. Sometimes, you don’t know what you’ve got until it’s gone… and without Jerry’s presence alongside Don Orsillo, the experience of watching Red Sox games on TV has been diminished. Not so much because his analysis is first-rate – which it is – but because his on-air personality is so consistent, so easy to identify with, so friendly. It’s not a stretch to say that, in his role as the voice of the Red Sox, he has become like a family member to all of us who have followed the team closely over the last 20 years. Even though he hasn’t personally met most of us, even though we don’t send him a Christmas card, he’s been one of the constants in our lives for a long time, someone we’ve come to know very, very well, and someone we’ve developed enormous fondness for — and so we not only miss him now that he’s on leave to recover from cancer surgery, we also feel his pain. Of course, I join all of Red Sox Nation in wishing him a full recovery and a swift return to the NESN booth, where he belongs. And as I think about why I care about Jerry Remy so much, I am compelled to share two brief stories that reveal the kind of person he is. At the Red Sox Nation presidential debate at BU back in 2007, most of the candidates were waiting in a conference room when, an hour before the debate began, Jerry strolled in. The rest of us candidates who participated in the debate were nobodies (except Sam Horn, but he wasn’t in the room with us at that time), so it was a big moment for all of us to shake Jerry’s hand, and we couldn’t quite believe it when he grabbed a bottle of water, pulled up a chair, and hung out with us. We all assumed Jerry would have his own room, or would show up just before the debates began, or would be off talking with the press, or would be chumming around with Henry, Lucchino, Steinberg, and maybe even Tim Russert. And he could have done any of these things. But he sat down and talked with us. And I remember we all talked – the 5 or 6 of us – right up until the moment we walked out onto the stage. I remember Jerry in his Hawaiian shirt telling all of us, with a reassuring smile, “Don’t be nervous, you’re all going to do great, just relax and be yourselves.” And in that moment, we all realized we weren’t competing against each other – we realized Jerry was the man, and we were his supporting cast in a made-for-TV spectacle. And this helped to put all of us at ease. And I remember that we politely (but somewhat aggressively) peppered Jerry with questions that every fan would want to ask him – about his own playing career, about his opinions on certain players, about the Red Sox-Yankees rivalry, etc., and he gave long, complete, honest, personal answers to all of our questions without any impatience. His demeanor wasn’t the same as it was on TV – the perpetual smile took a rest while he spoke with us and we saw a more reflective, balanced side of Jerry. But the two things that impressed me most about Jerry that day were: 1) His willingness to let down his guard around this group of strangers who had been thrown into the final round of this bizarre contest with him, and 2) His respect for us. Not for one instant did he give us the impression that there was somewhere else more important for him to be than right there, with us, in the “green room.” Before we went out on that stage for the televised debate, he had already won all of our votes. Best answer I ever heard. Jerry Remy, get well. The quotation Ken Davidoff used for me in his blog was 100% accurate. I did say those things. However, if you could read the full transcript of my comments, the quotes he used would make a lot more sense. He asked me if I think that A-Rod’s connection to steroids will heighten the anticipation of the first Red Sox-Yankees series in the spring. I said, yeah, perhaps a little bit, but what will create much more anticipation will be the new Yankees, particularly Mark Teixiera, CC Sabathia, and AJ Burnett, because of how much they improve the Yankees squad and intesify the rivalry. Davidoff did not misquote me, but he did pluck the Teixiera comments from a longer comment I made about A-Rod’s steroid use being a footnote in comparison to the larger issue, which is that the Yankees are better this year than they were last year, and THAT’S what will create more anticipation on Yawkey Way for the first Sox-Yanks series. Jim Rice is in the Hall. So much has been written about Rice from the vantage point of looking back on his career. I have nothing to add to that. Instead, I prefer to write about Rice from the perspective of my 10 year-old self, back in 1978, at the peak of his greatness. 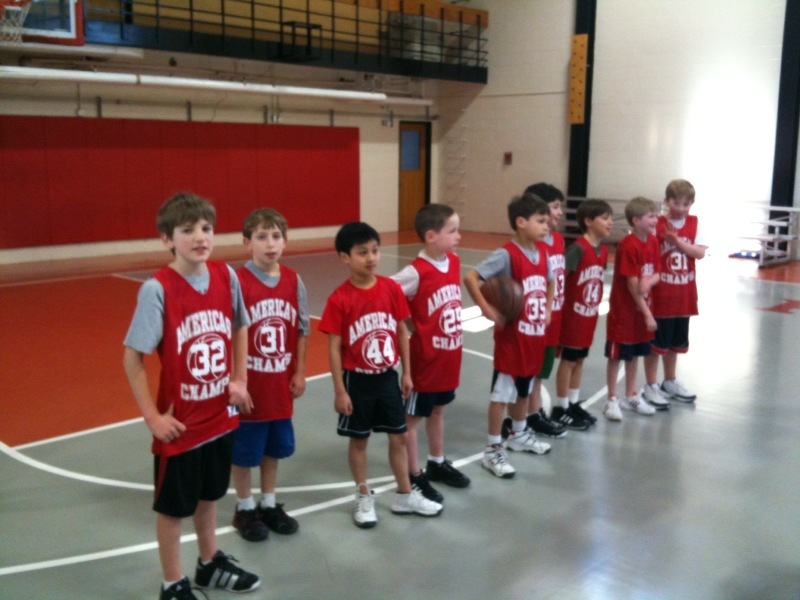 The number 14 jersey always got picked first in youth sports. Why? Pete Rose and Jim Rice. I can’t shake the sound of Sherm Feller announcing his name: “Number 14, Jim Rice. Left field, Rice.” And as his serious, imposing figure walked to the plate, ripples of anticipation would shudder throughout Fenway and over the TV 38 airwaves. His batting stance — along with Dewey’s and Yaz’s — was the most emulated in neighborhood wiffleball games. Elbows down, then the emphatic half-swings as he cocked his bat, the expression of a stern school principal on his face, with the aura of tiger about to maul a smaller foe. The Southwest Airlines ads that have the tagline, “Wanna get away?” could just as easily have been created to describe the feeling that pitchers had when Rice stood at the plate. We knew we had the best three outfielders in the American League – Rice, Lynn, and Evans — and Rice was the Big Daddy of that trio. I have Jim Rice’s autograph on about five different Red Sox programs, all procured while he was a player. Why? Because he was out there all the time, signing autographs for kids. I don’t think I ever saw him smile or even speak while he signed — he did it like a machine — but he was out there, taking a break from the game, to give something back to the fans. 87.4% of all children in New England had a poster of Jim Rice on their wall at some point between 1976 and 1987. We all wanted to be like him. When Bruce Springsteen played at Fenway about five years ago, I ran into Jim Rice outside Fenway Park. I asked if I could have my picture taken with him, and he happily obliged. While my friend was taking the photo, I remember saying, “Here I am, with Hall of Famer, Jim Rice,” and Rice immediately replied, “Hey, I like this guy,” smiled for the camera, shook my hand, and headed into Fenway. Soon, the number 14 will join numbers 1, 4, 6, 8, 9, 27, and 42 above the right field grandstands. Where it belongs. Oh, and the fact that Bert Blyleven was not elected to the Hall (again) is an utter travesty. I have two minutes to write before getting my kids ready for school, and myself ready for work. Here’s what I have to say today.